A new reproductive technique in which a baby is produced with the genetic material from three distinct parents has yielded its first human. As reported in New Scientist, the baby was born five months ago in Mexico with the help of US researchers. The three-parent reproductive technique, known as mitochondrial donation or pronuclear transfer, is not yet legal in the United States, but it is under serious discussion. The method was approved two years ago in the UK, but that country has yet to produce its first “three-parent” child. Mitochondria are the powerpacks that fuel every human cell, and just like the nucleus, they contain DNA. Unfortunately, inherited defects in mitochondrial DNA can cause severe or even fatal results. To overcome this problem, scientists extract two eggs—one from the mother and one from a donor. The nucleus of the donor egg is removed, leaving the mitochondria intact, and replaced by the mother’s nucleus. 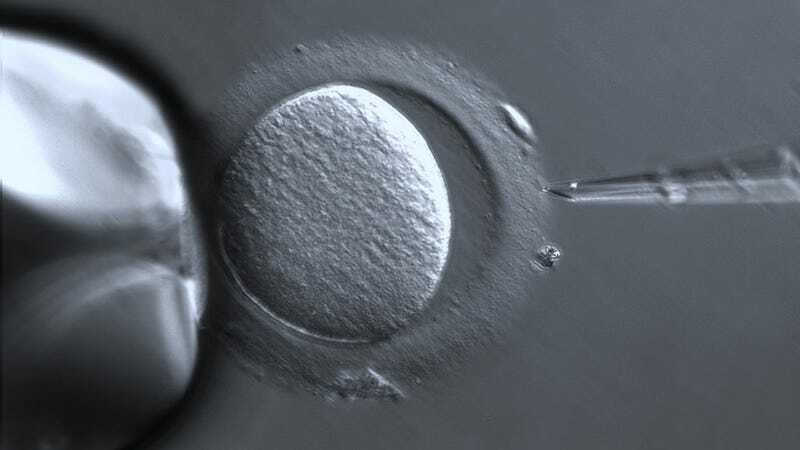 The resulting embryo is free from the inherited defect, resulting in a potentially healthy baby—albeit it with three parents. Zhang and his colleagues tested the baby’s mitochondria, and found that less than one percent contains the harmful mutation. It usually takes about 18 percent of mitochondria to be affected before problems set in. The technique is considered controversial by some because of the unorthodox number of parents. But bear in mind that a scant 0.1 percent of genetic information is being transferred by the donor. This concern is basically a non-issue, and people need to get over it. Also, this is not the first time that a baby has been born with three parents; it simply marks the first time it’s been done using this new technique. More important are the questions of safety and efficacy. Running off to Mexico to perform a procedure because it’s still illegal in the United States may push the science forward, but it’s clearly sending the wrong message.